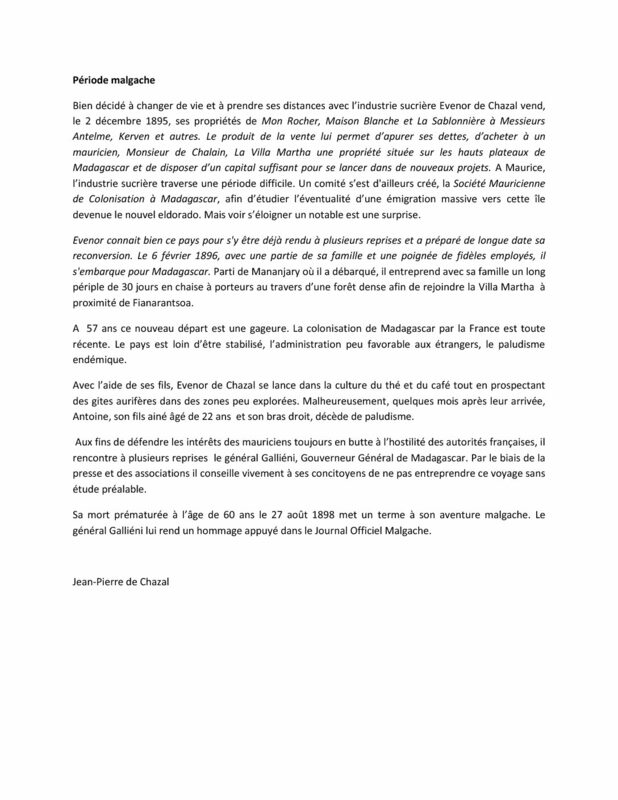 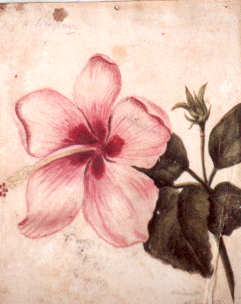 Malcy de Chazal was the eldest daughter of Toussaint de Chazal de Chamarel whose father had gone out to Mauritius in 1770 to join his elder brother.She was brought up on her father’s estate of Le Mondrain and one of her early paintings preserved in the Mauritius Herbarium at Réduit is that of the flower of Hibiscus Genevii, which she had found growing on her father’s property and named in the vernacular “Mandrinette”. 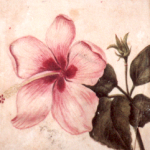 This indigenous Hibiscus shrub was ‘rediscovered’ some 100 years later growing on the same site, subsequently chosen for the Mondrain Nature Reserve. 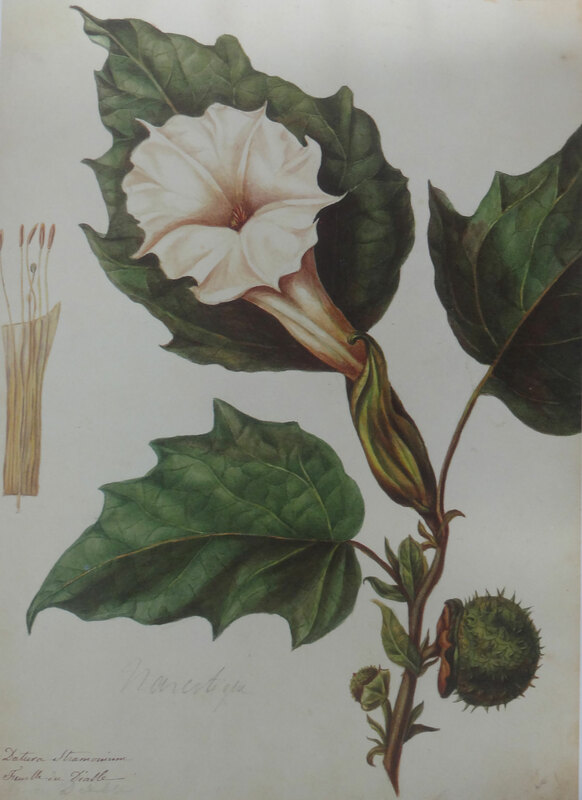 Her paintings of the Medicinal Plants of Mauritius were of plants and flowers found growing on the estates of Walhalla, St Antoine, Champ de Lort and others sites, and painted between the years 1840 and 1845.